What is "ghost a computer"? "Ghosting" a computer refers to creating a clone of its contents so that they may be transferred to a different hard drive or restored in some occassions. It's not strictly the same as copying, but rather a means of accessing files and software without having to go through all of the trouble of reinstalling them. Narrowly speaking, ghosting a computer means ghosting the system partition. How to ghost a computer by using PartitionGuru? PartitionGuru provides a powerful partition backup and restore function which is similar to Ghost's. Actually, PartitionGuru is much more powerful than Ghost in that it supports incremental backup which increases practicability and convenience. 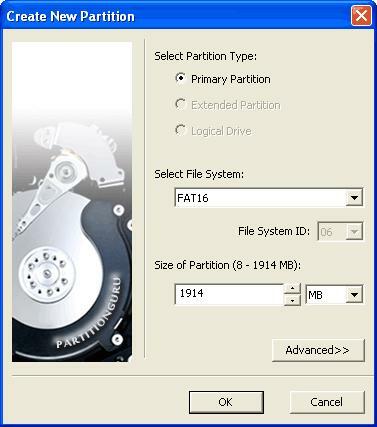 Click the button "Source Partition" and select the system partition, and then click the button "OK", as shown below. 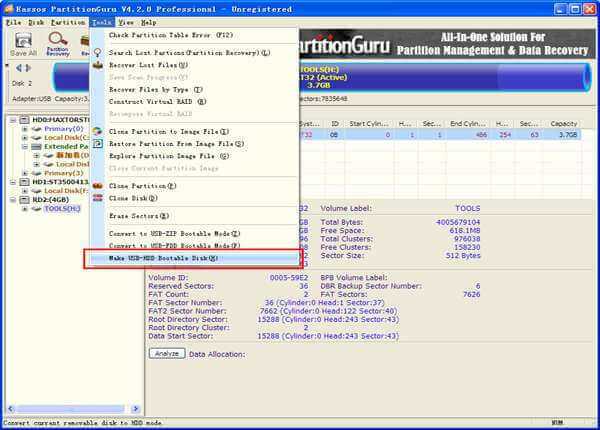 PartitionGuru provides two backup types, i.e. full backup and incremental backup which is rarely available in other programs. It is advised that the incremental backup should be used every time after the first full backup, which saves a lot of time and disk space. Comparing with full backup, incremental backup takes less backup time and produces smaller image file. 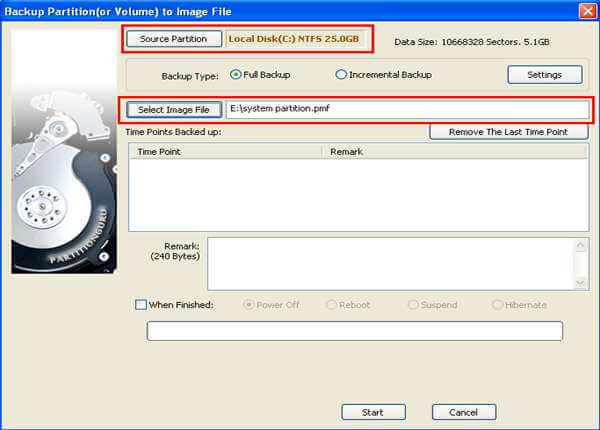 If you are doing full backup, then click the button "Select Image File" to set storage path and file mane for the image file, while if it is incremental backup, click the same button and select the existing image file. How to restore system partition from image file? Then on the popped up dialog box click the button "Select Image File" to select the backed up image file and then click the button "Target Partition" to select the system partition you want to restore. If you did incremental backup, you need to select one time point you want to restore. Click "Start" to get the restore process started. The program enters its DOS version to restore the system partition. Finishing this process, it'll reboot to Windows, and the restore will be done. How to make bootable USB disk? Having a bootable USB disk is essential, especially when the system can't boot normally or the operating system crashes. Using bootable USB to install an operating system (OS) not only makes the installation faster, but also saves a DVD. Click "Yes" and "OK" respectively on the following pop-up dialog boxes and then the bootable USB disk will be created successfully.